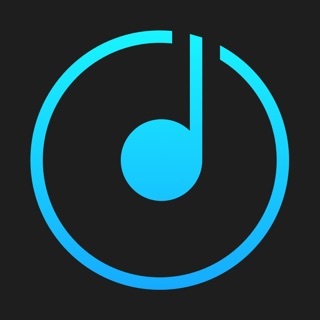 #1 Music Player for iPhone and Mac! iTunes, personal music collection, SoundCloud®, Spotify – listen to the music in the highest quality from different music sources. VOX supports all popular formats including Hi-Res ones. • Lossless: FLAC, APE, WAV, ALAC, etc. and Lossy: MP3, WMA, OGG, etc. All Hi-Res audio formats support for crisp and clear sound. VOX FLAC player uses a custom-made audio engine based on BASS™. • Playlist Management. You can combine your iTunes, SoundCloud, and Spotify tracks as well as your local files into one playlist and make it available for all your Apple devices! • Simple Music Queue Management (Play Next, Add to Queue options with full Queue list). • Share your music with friends (for SoundCloud®). Your credit card will be charged through your iTunes Account after the purchase confirmation. Your subscription will automatically renew unless auto-renew is turned off at least 24-hours before the end of the current period. Your subscriptions can be managed in your iTunes Account Settings after purchase is made. No cancellation of the current subscription is allowed during active subscription period. Any unused portion of a free trial period will be forfeited when you purchase a subscription. P.S. : FLAC Player, ALAC Player, Lossless Player, SoundCloud® Stream Solution, Spotify, Hi-Res audio Player – check all of them in one VOX Cloud Music Player. - Fixed some issues with Facebook login. Скачал на iPad а на iPhone не установилось автоматически, мне что его 2 раза покупать нужно, на каждое устройство ? Какой-то ужас ничего не синхронизируется с MacBook. Не рекомендую приложение. После обновления ограничили доступ к эквалайзеру! Самое главная функция теперь не доступна. Обидно! Какого черта приложение, которое стоило 500₽ требует оплату ещё за эквалайзер? Я разочарован, до сегодняшнего дня это был мой любимый плеер на iOS.